I admit it: I've been terrible about keeping up with the blog. But it's been for a good cause. I've been writing! 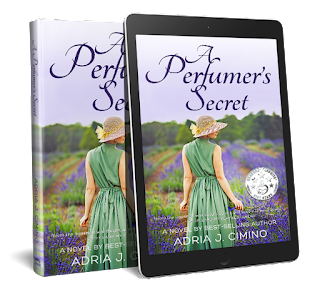 Today I'm taking a quick break, though, to share a lovely review of my novel A Perfumer's Secret. Thanks very much to "i am not a bookworm" blog for taking the time to read and review the book. I don't know about you, but I would love to be stepping into spring at the moment instead of heading for the gray month of November! Since we can't play with time, we have to find other ways of finding that ray of warm sunshine... My solution to just about any problem? A book! 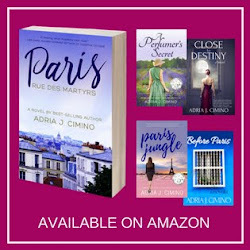 My novel A Perfumer's Secret will not only transport you to spring, but it will also take you to the beautiful South of France and set you down in the middle of a story of love, rivalry and family secrets. All that for only $0.99 (sale applies to the U.S. and U.K., this week only). 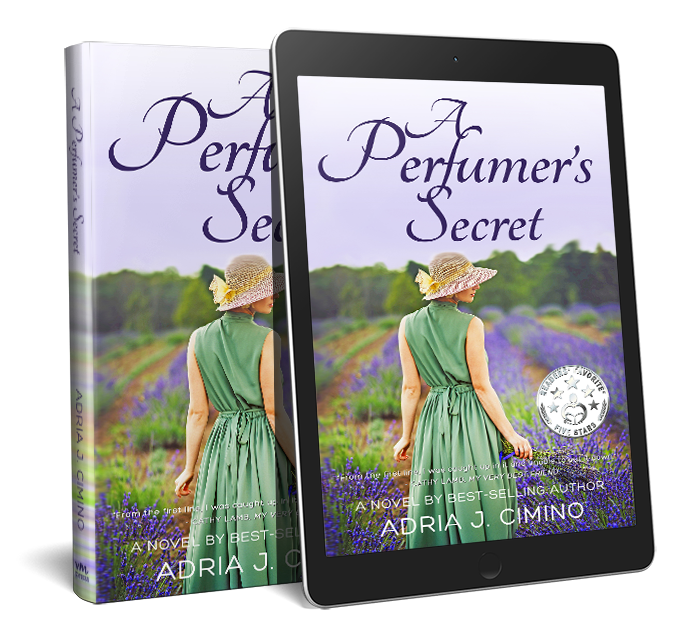 Find A Perfumer's Secret on Amazon! And happy reading! 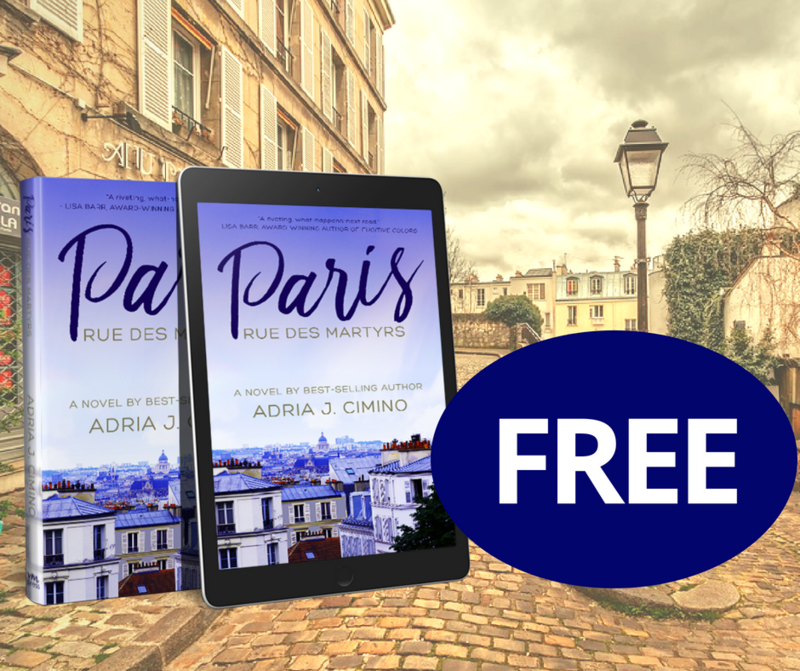 Get PARIS, RUE DES MARTYRS for Free -- Limited Time! 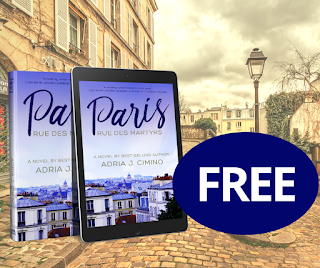 This week, I'm offering you a taste of Paris... My best-selling novel Paris, Rue des Martyrs is free on Amazon through August 31. Rafael Mendez arrived like a thief in the night at 120 Rue des Martyrs. He ran all the way from the train station, where he had left one small, ragtag suitcase in a rented locker. His sneakers slapped noisily along the cobblestones, then pavement, in time with his own tears and the rain falling from a grim Parisian sky. It was as if each minute lost counted for everything in his 23-year-old life. He pushed past umbrellas that seemed to tango as they bobbed against one another, old men who chatted with no one in particular, couples laughing, and a few sidewalk café tables left behind to weather the storm. He was nearly blind to this first vision of the city, and only looked up now and again at the street signs to reassure himself that—yes—he hadn’t lost the Rue des Martyrs. And then he stopped. He pushed wet strands of long, black hair back from his face, wiped away the silly tears of that odd combination of desperation and excitement, and sank down onto a bench facing the address he had imagined all of his life in Colombia. Now, as the rain soaked through his jeans and his gaze traveled across the street to the only lighted apartment in building 120, his mind returned home. That’s where his quest began, after all. In Bogotá. As a child, he would play with the emeralds. That was his first memory. Not mother. Not father. Emeralds. Because that was how his life began. His father never wanted to tell Rafael that the French jewelry designer gave birth to him on a trip for those precious stones. He only said it once—grimly—shaking his head and staring at the dark sand under their feet. Rafael remembered looking up at him with widened 10-year-old eyes as they plodded along the dusty trail to where his father would buy the stones. It was Rafael’s first trip there with his father, and in the young boy’s mind, it became a sacred place. But he couldn’t think of that story right now or those emeralds. It was over. He had to erase every memory from his mind, the images that haunted him at night. The one remaining light in 120 snapped off, leaving the building in darkness. It would be too late. He was wasting time. His heart raced as he crossed the street between the cars that kicked up muddy water onto his jeans. He ignored the honking horns. He wanted to move forward, and all at once he wanted to travel back. Rafael was frightened. Afraid of what he might learn or might not learn. Never be afraid, his father had hissed into his ear on that first trip for emeralds. Before he could let his worries swallow him up with one great gulp, he pounded his fist on the heavy, brown-lacquered door that like a clamshell closed the apartments to the world. Nothing. The sound of his fist against the wood reverberated through his entire body, but no one responded. He scolded himself for his own impatience. How could he possibly have expected someone to answer that door at 11 o’clock on a Thursday night? He placed his hand softly against the handle and sighed, knowing he should leave, yet not able to abandon the glimmer of hope that his problems would be resolved in a matter of hours. The door creaked open suddenly, and he jumped back. 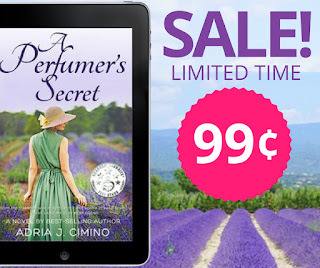 My Novel A PERFUMER'S SECRET is on Sale! This is the perfect time of year for a trip to the flower fields of Provence... I would like to take you there through the pages of my novel A Perfumer's Secret. The ebook is on sale through June 30 for only $0.99! I hope you'll join me on this trip to France! Check out A Perfumer's Secret on Amazon. So voila! New cover, new title, but same story of a woman who decides to fight the discrimination that destroyed her life inside the office and beyond. 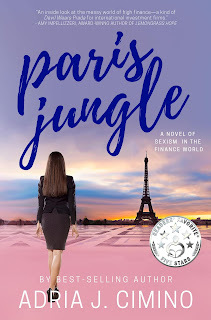 Paris Jungle is a book that is special to me, because it exposes the reality that women face in the workplace -- whether it's on a movie set, in an investment bank, in a newsroom or just about anywhere else. What I loved the most about writing this novel was showing that women can be powerful and can fight back. The protagonist, Wanda, struggles and loses confidence as we all do, then remembers her strength and decides she won't be a victim. She also has a smart, strong best friend -- we all need a good friend when times are tough! As more and more women share their real life stories of harassment, the #MeToo movement has gained momentum. That should continue until harassment truly becomes a thing of the past. In the meantime, I hope Wanda's story in Paris Jungle will inspire women to stand together and fight back! A Book Trailer Set in Provence! Want to step into Provence with me for a few seconds? Check out the trailer to my novel A Perfumer's Secret! I loved traveling around the South of France to do research for this novel, and seeing the trailer brings me back to the warmth, the scent of lavender... I hope it will transport you too. 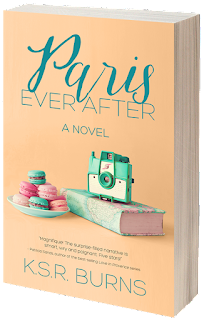 Paris Ever After follows Amy, who left her humdrum life in Phoenix behind for a new start in -- where else -- Paris. But this isn't your stereotypical Paris tale. 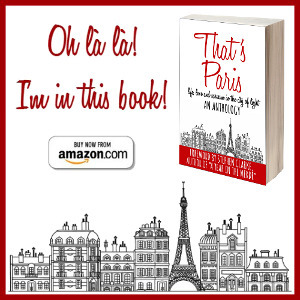 This novel is loaded with memorable characters, off-the-beaten path views of Paris, and of course, luscious descriptions of food. There are plenty of twists and turns too to keep you turning the pages. 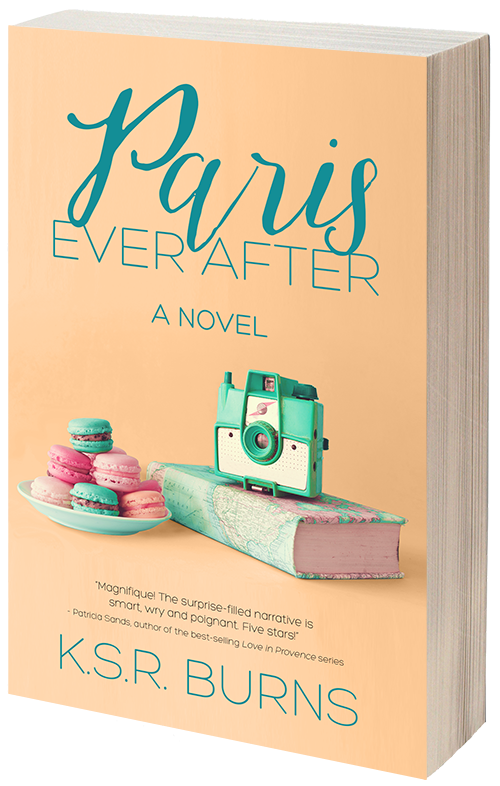 Find Paris Ever After on Amazon! 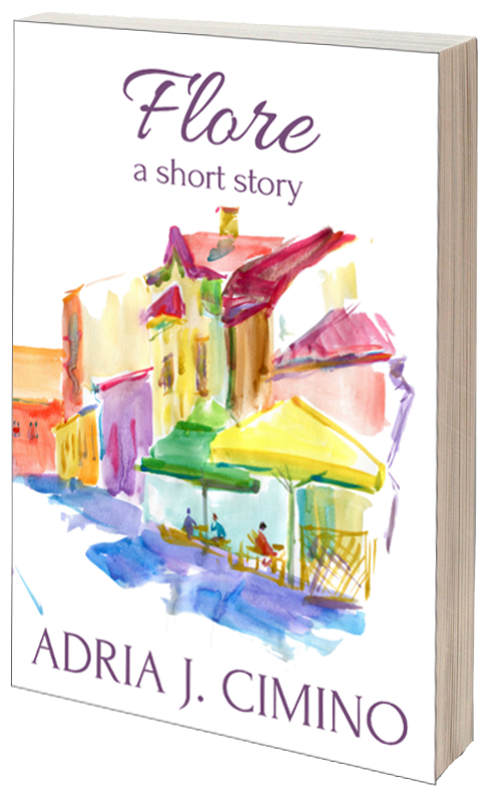 Sign up for my newsletter and get my short story "Flore" for free! Adria J. Cimino. Theme images by ranplett. Powered by Blogger.